State Congress chief Uttam Kumar Reddy demanded that 100 per cent counting of Voter Verifiable Paper Audit Trail (VVPAT) be taken up. 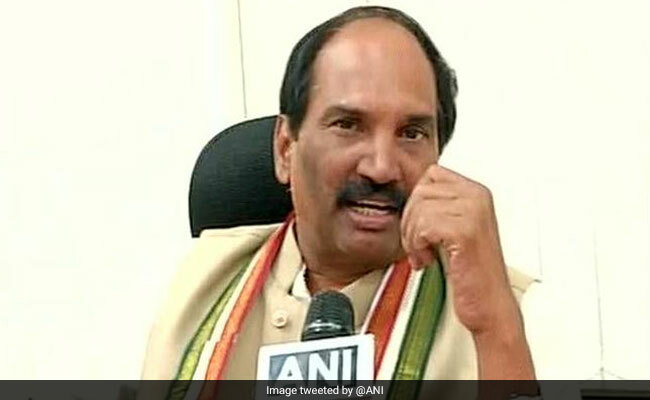 Uttam Kumar Reddy asked Congress candidates write letters in concern over counting of paper trails. With the ruling Telangana Rashtra Samithi (TRS) headed for a landslide victory in Telangana's Assembly elections, the Congress today alleged that the Electronic Voting Machines (EVM) were manipulated. He asked all Congress candidates to submit letters to returning officers concerned for counting of paper trails. Congress, which headed the four-party People's Front, was leading in just 21 constituencies while the TRS was ahead in 87.